Dreaming of Three alongside Bark & Gold Photography is happy to announce that this annual calendar contest has raised $1,523 for Dreaming of Three's Rodeo Kids Program, all thanks to your entries and votes! We thank everyone who submitted their favorite photo of their pet, voted, and supported this contest with their generosity! The fabulous fur faces included in this year's calendar were determined by the top 13 entrants that received the most votes. Each winner received a professional photography session with Bark & Gold Photography to create their featured image for the 2019 calendar. Click here to purchase your 2019 Dreaming of Three pet calendar. Calendars start at just $20. 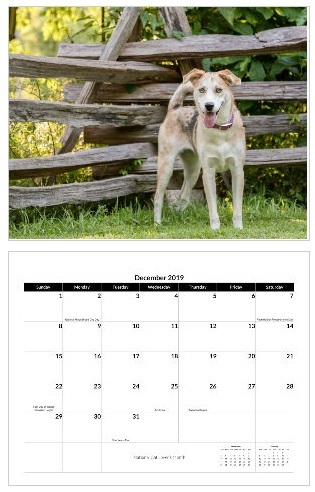 Proceeds from the contest and sales of its 2019 pet calendar will assist Dreaming of Three with raising funds and awareness for children fighting life-threatening diseases through its Rodeo Kids Program as well as help provide to animal rescues during disasters in the U.S. The Dreaming of Three pet calendars will be available until September 2019.